We offer customised services all around east africa when you rent a car with us in kenya. We all along preach reliability in what we offer and have an obligation of ensuring a guaranteed peace of mind as you explore east africa. We have a culture of listening to our clients needs. we take note of every expectation from our clients and walk with them in ensuring their satisfaction. 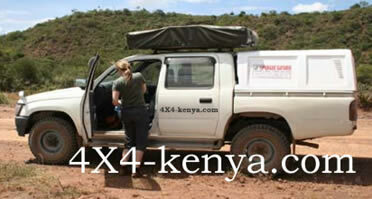 We simply provide reliable 4X4 car hire in kenya full of undesputed service. 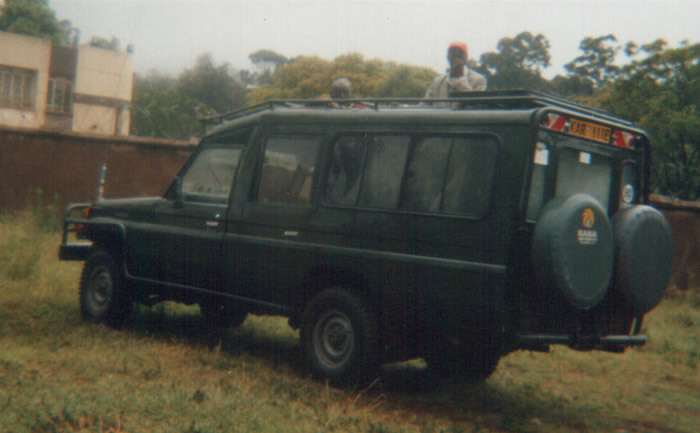 Toyota landcruiser is good for safari.Landcruiser body chasis is stretched with both roofrack and roof hatch.Seating capacity is 6 to 8 person. 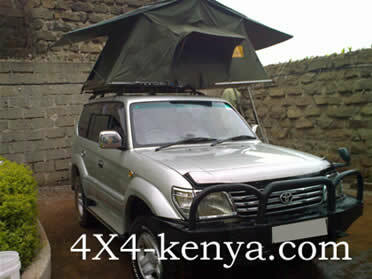 TOYOTA LANDCRUISER PRADO WITH ROOFTOP TENT AND CAMPING EQUIPMENTS. Landcruiser prado 4X4 car with rooftop tent has a seating capacity of 4 adults.You have no much room for luggage and camp equipments.It is recommended for self drive hire and does well in social trips.Choice with rooftop tent,Like mitsubishi pajero,landcruiser prado is not recommended for real offroad selfdrive safaris.Most of landcruiser prado are automatic and will not stand offroad punishment. Toyota hi-lux dual cab has seating capacity of 4 adults.Toyota hi-lux is a real tough selfdrive safari car.Hi-lux is recommended for self drive hire and does well in both private safari,fully equipped camper and for social trips.Toyota hi-lux has enough room for luggage and camping equipments with roof top tent. Toyota hi-lux dual cab comes with snorkel,freezer up to 60 litres,airconditioning,wrangler offroad tyres and two spare wheels and camping equipments. Our reliable car hire in kenya rates structure are very competitive,with a fleet of clean new rental cars they vary from run-around to luxury .Nothing beats visiting our unique National Parks or simply exploring Nairobi city driving a rental vehicle from 4x4 Kenya. 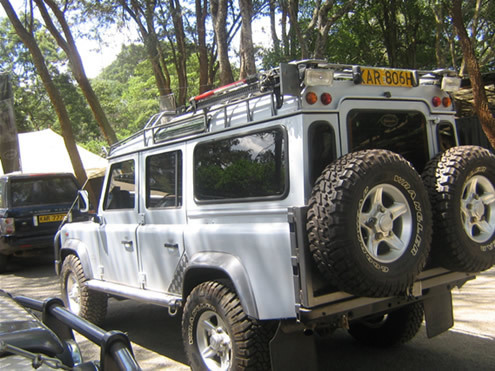 Rent a car in kenya,dar es salaam,arusha,kampala with us and ascend to the national parks of East Africa, we are also able to help with car hire requirements in the rest of Kenya,Tanzania,Uganda and Rwanda.Speak to us regarding special requests such as free mobile phone services at 4x4 Kenya car hire kenya. We will satisfy all your car hire needs in Kenya, Uganda & Tanzania and Rwanda.Our service goes beyond just car rental, We Care!